Welcome to the beautiful 25 Place Dauphine Residence, located on the incredible Ile de la Cite' in Paris. 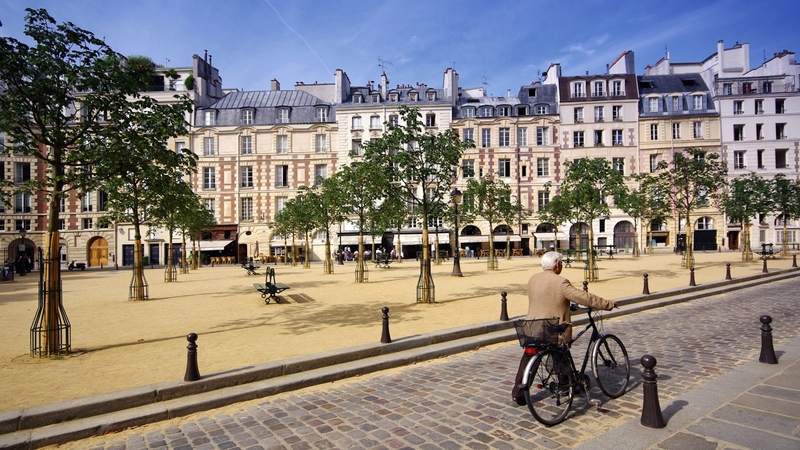 Historians say Place Dauphine is one of the most beautiful squares in Paris, writers say it's the most secret and romantic. Built in 1610, this historic building has been fully restored and converted to 6 luxury vacation rental apartments. See for yourselves when you stay! Luxury Apartments in the Very Center of Paris! Imagine a luxury residence in a dream location in Paris - six gorgeous apartments in the heart of the City of Light. 25 Place Dauphine is located on the tip of Ile de la Cite’ , literally the island where Paris was founded and where Notre Dame stands proud. You are literally at kilometer zero of Paris! 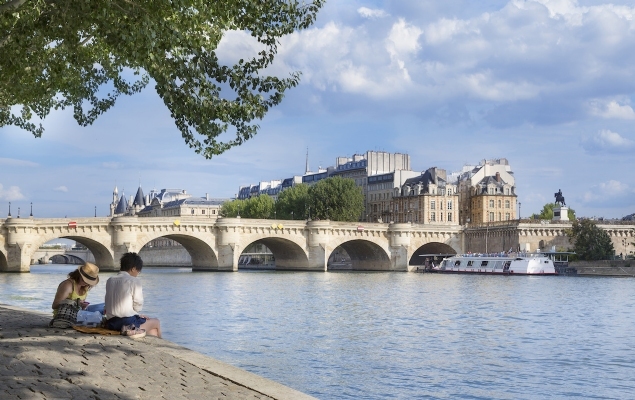 Enjoy the most sought after location in Paris, where you can take romantic strolls along the Seine, dine at excellent restaurants and cafés at your doorstep and the convenience of being just moments from the Notre Dame Cathedral and the city's top museums and landmarks on the Right Bank and Left Bank. We invite you to read more about 25 Place Dauphine and to come and stay with Paris Perfect in this remarkable residence in Paris! 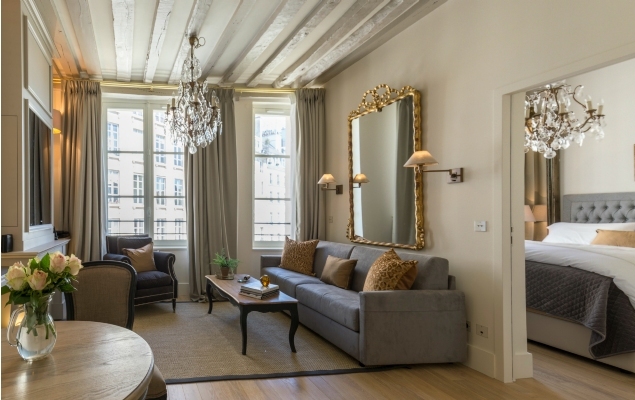 Situated on peaceful Place Dauphine, our new residence building features six beautifully remodeled apartments, each one with its own historic charm and all with views overlooking Place Dauphine. After a complete remodel, 25 Place Dauphine offers an exquisite experience in Paris. In addition to the gorgeous vacation apartment rentals, the building also features a welcoming entrance lobby and a beautifully restored elevator. 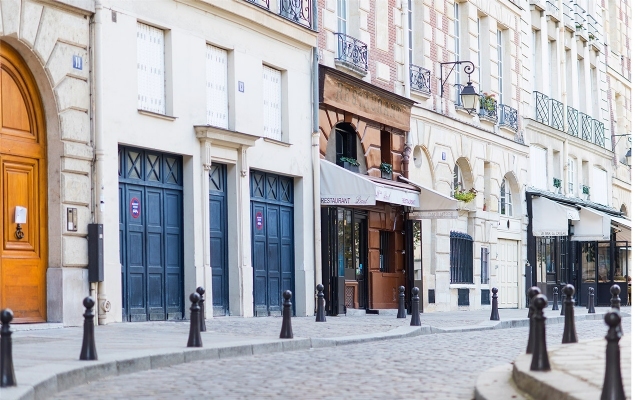 With its incredibly central location on the Île de la Cité, Place Dauphine makes the perfect home base for exploring Paris. 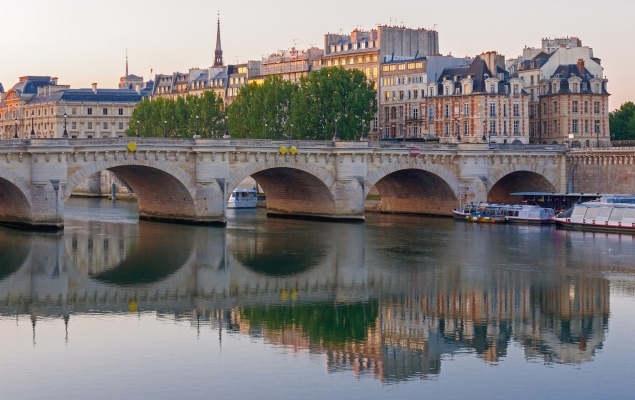 Not only is it just moments walking to see Notre Dame Cathedral and the glorious stained glass at Sainte-Chapelle, but it’s also surrounded by the beautiful quais along the Seine River and only moments to the top sights in Paris on the Right Bank and Left Bank. The very best of Paris is right at your fingertips from 25 Place Dauphine. Our guests fall in love with the central setting of Place Dauphine. Stroll to Notre Dame, Sainte-Chapelle and the Conciergerie on the Île de la Cité or cross over to discover the charming Île Saint-Louis. Or simply head over to the Right Bank to visit the Louvre Museum and meander through the Tuileries gardens. 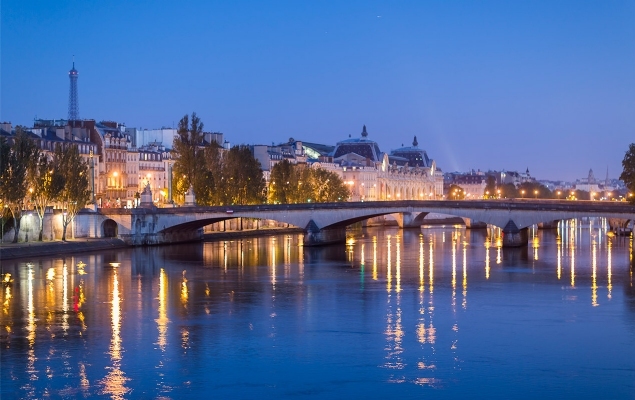 Cross over the opposite side of the islands to reach the Left Bank and the popular Saint Germain and Latin Quarter neighborhoods. Board a river cruise near the tip of the Île de la Cité and enjoy beautiful views down the Seine to reach the Eiffel Tower. You’re right in the heart of the city when you stay at 25 Place Dauphine! Reaching Place Dauphine and getting around Paris from this central location couldn’t be easier! With Metro stations, RER lines and excellent bus lines nearby, you can quickly and easily reach every part of Paris and popular day trip locations like Versailles with public transportation. That is, when you’re not simply walking to the museums, landmarks and beautiful neighborhoods surrounding the Île de la Cité! The restoration of 25 Place Dauphine was truly a labor of love. This small, historic building dates from 1610. 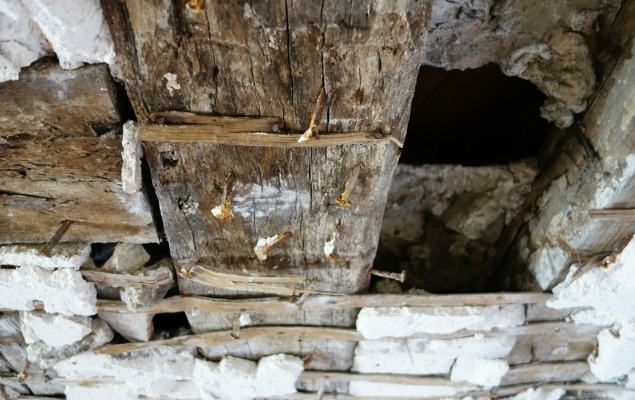 It is a protected historic monument, and the two-year restoration process was far more intense than we ever could have imagined. We couldn’t have completed this masterful renovation without the help of renowned architect, Gabor Mester de Parajd, Chief Architect of the Historical Monuments of France. With its complete renovation, 25 Place Dauphine will now proudly keep its place for hundreds of years to come on beautiful Place Dauphine. The Île de la Cité truly is the historic heart of Paris and Place Dauphine one of its loveliest spots. The history of Place Dauphine as we see it today starts in 1607 when King Henri IV ordered its construction for the emerging merchant class. It has seen many important moments in history, which seem to linger in the air even today as you stroll through Place Dauphine. It’s the perfect spot to reflect on the dramatic and impressive history of the city that surrounds this now peaceful little spot in the heart of the city. Enjoy a behind the scenes glimpse of 25 Place Dauphine in our Paris Perfect Video Series! Join in the excitement on the day we received the keys and get a firsthand look at this incredible restoration project. Then watch as Maddy goes shopping for design inspiration at the celebrated MAISON & OBJECT fair in Paris and then puts the perfect finishing touches on the six apartments with the help of her favorite designers. Finally, celebrate with us the opening of 25 Place Dauphine!